As disasters and miracles multiply globally at an ever-increasing rate, it’s up to Captain Clark Terrell and his crew to shut down the experiment-gone-wrong before its storm of chaos causes the planet’s destruction. But the odds against their success — and their survival — might be too great to overcome. "Mack doesn’t neglect the characterisation of either the regulars or the aliens that they’re meeting. We get a clear idea of the planetary society, and there are some very nice additions to our knowledge of the crew; Mack has always been good at providing his characters with credible reactions in the face of danger and there’s one section towards the end of this that rings very true. There’s quite a bit of black humour, and a couple of laugh aloud moments." 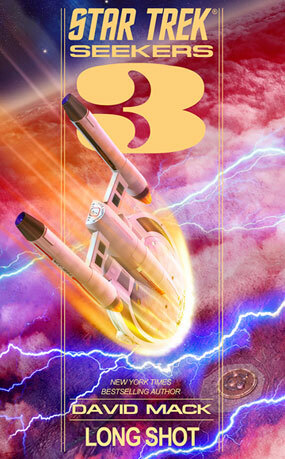 "Verdict: Another terrific addition to the Taurus Reach chronicles. 8/10"